Good news Muscle Food fans – now you can grab the internationally recognised and world renowned supplements from the innovative peeps at PhD right HERE! 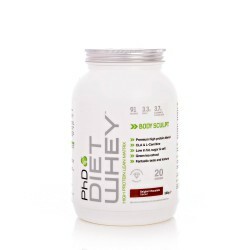 PhD Nutrition has made it their business to know everything about anything to do with sports nutrition delivering inspirational, expertly crafted supplements that taste great and deliver serious results. From their superb female only range to their delicious protein bars and outstanding all-in-one Synergy ISO-7® Powder - whatever your training goals, PhD will support you in achieving them.